CS-16, First Floor Ansal Plaza Vaishali Ghaziabad - 201002, U.P. Maia Developers Pvt Ltd established more than a decade ago has become a renowned name in the real estate sector providing the ultimate living experience to its clientele. The company focuses on producing projects with the highest quality, professionalism, ethics and a client centric approach. Maia Developers has been credited with the development of premium residential projects in the NCR. The company has dedicatedly adheres to its values of innovation, quality, integrity, inclusion of client feedback and passion towards each venture. 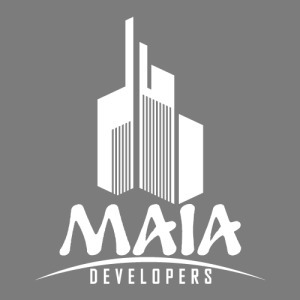 Established 11 years ago, Maia Developers has been following a unique approach by designing and implementing the most cost effective solutions for each of its projects. The team at Maia Developers comprises of professionals backed by years of experience and expertise in the field of real estate. The team thereby provides to its clientele the best projects, at competitive prices and high quality. Maia Developers is an innovative and trusted name in the real estate sector with a strong client-centric approach cocooned in a self-sustaining eco-system. The company has made it a mission to maintain a relationship with stakeholders by offering unmatched design, quality construction and complete integrity in all that they deliver. Maia Developers also makes sure that its activities benefit both the environment and society by contributing to social causes. Maia Developers are strong supporters of the All India Confederation of the Blind, CRY and Helpage India.